Great detailed work! WE love our new signs!!! Very friendly and helpful. 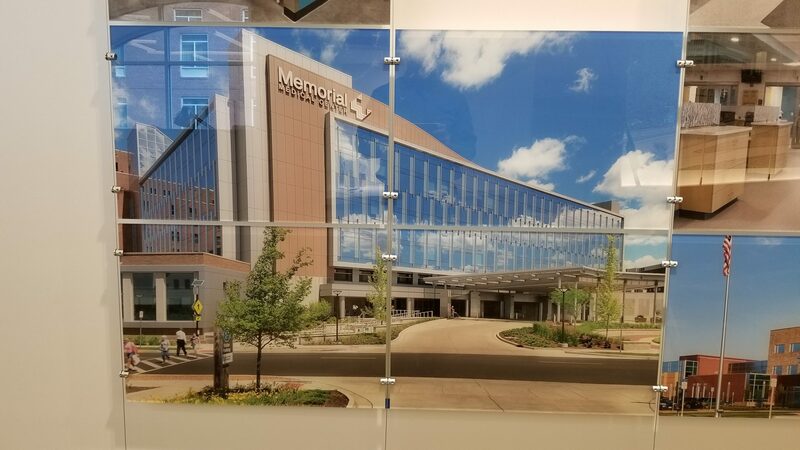 My office recently worked with Engaging Signs & Graphics on a large custom sign in our entryway. We are extremely pleased with both the process and the product. Kevin and Matt were fantastic to work with. They are very responsive, have a strong attention to detail, and provided samples and mock-ups to be sure we would be satisfied with the end results. The quality of the final product exceeded our highest expectations. We will definitely work with them again in the future! Thank you! We would definitely recommend them! We worked with Engaging Signs & Graphics on a display wall for our office. They paid attention to detail and did everything they could to ensure we were happy with the results. We would definitely recommend them! Engaging Signs & Graphics is Fantastic!! 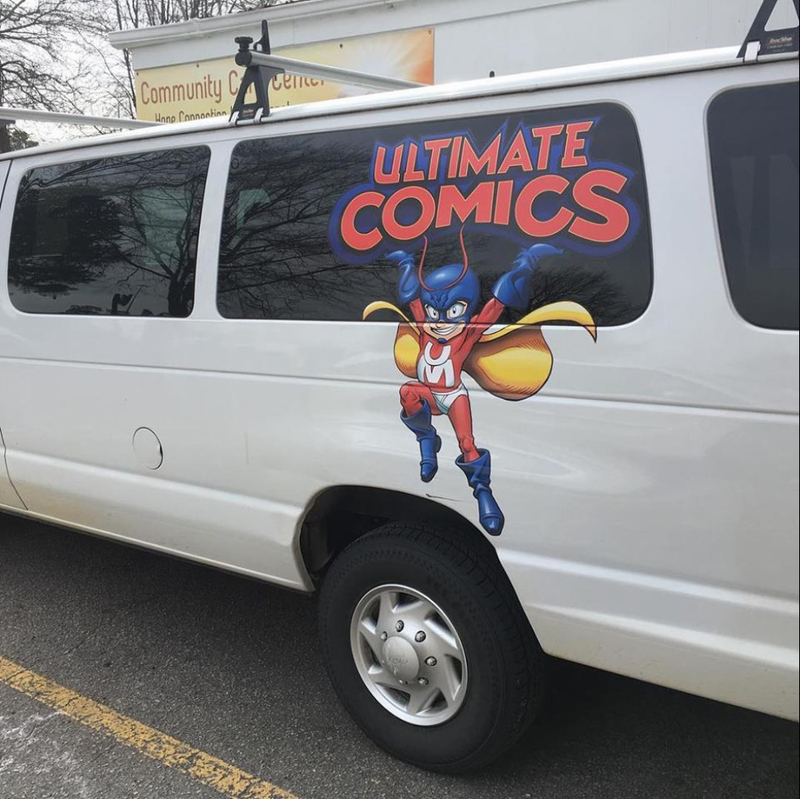 They do Amazing, Quality work & did a Super Awesome Job with the Decals & window design on our Ultimate Comics Van. They also did it in a very short time frame which was very cool. I would definitely recommend Engaging Signs and Graphics. From our first conversation to the install of our awesome sign the whole experience was great. Matt and Kevin were very professional and quick to respond with all of my questions. We are already taking about another project. I would definitely recommend Engaging Signs and Graphics. I look forward to continue working with them in the future. I worked with this team on a custom project with a short timeline. Most printers I have spoken to would simply not take the job at all, but Kevin and his team came back to me with ideas on how they could accomplish the task. I gave them an opportunity and they truly impressed. I work with printers across the country, but this random place in North Carolina is the only group that was willing to take on the challenge and I look forward to continue working with them in the future. I definitely recommend Engaging Signs & Graphics. Kevin and Matt at Engaging Signs & Graphics in Morrisville are great. They are both very professional and very helpful. They took the time to meet with me in person and engaged in several conversations with me via phone and email to deliver the best products. I recently launched my business and they were very instrumental in creating the prefect car magnets and banner for my new concierge and errand service. I appreciate great customer service and these guys have it. I definitely recommend Engaging Signs & Graphics for your sign and graphics needs!! True professionals that listened to my needs and delivered! I highly recommend them! Loved working with Kevin and the Engaging Signs team! Loved working with Kevin and the Engaging Signs team! We needed some window graphics quickly- I called Kevin on Monday, and he met me onsite to review the project. The graphics were designed and installed by Thursday, and they look great! Their service is fast, friendly, and exceptional. Thank you, Kevin and Engaging Signs crew!! Quality Signs made in a timely manner. Kevin and Dennis are so easy to work with. Friendly customer service, quick delivery. Kevin and Dennis are so easy to work with, I will definitely be back for my next project! Did an outstanding job with our front door. We're a new Chiropractic office in Brier Creek. Kevin and Matt did an outstanding job with our front door. They helped us figure out exactly what we wanted and it looks so GOOD. It's the first impression anyone gets of us when they arrive at our business and I am proud to say it's a luxury impression!Note: Matt put our door sign up. He wasn't satisfied with it (we thought it was fine) and ended up coming back and doing it over. They care about you as customers and I don't think it's a stretch to say they are perfectionists! Work and customer service are top notch!! Their work AND customer service are top notch!! They truly care about what you are looking for!! Kevin and his team were great to work with. Our firm, BSA LifeStructures, hired Engaging Signs & Graphics to create and update signage for our downtown Raleigh design studio. Kevin and his team worked with us to create exactly what we wanted for our space. We collaborated with them on a gallery wall design as well as updated logo graphics for our main entry glass doors. They provided suggestions to finalize the overall design that has since enhanced our entry space. They were upfront and clear throughout the entire process and were sensitive to our budget. 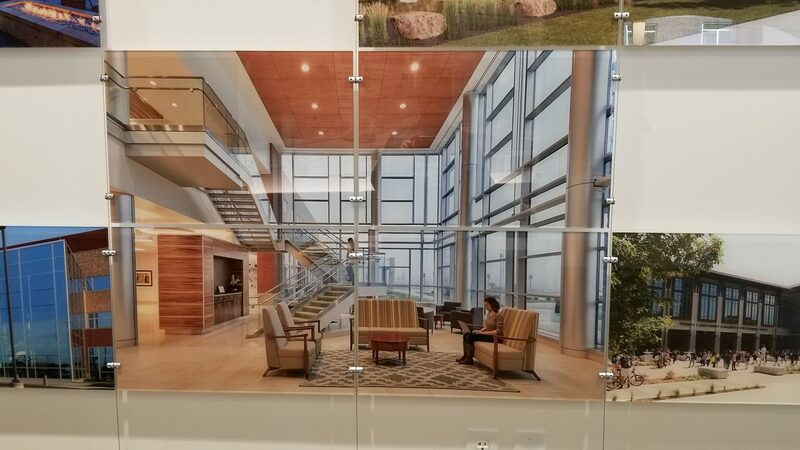 Consistent communication regarding printing and installation updates allowed us to coordinate activities within those affected spaces. From start to finish, Kevin and his team were great to work with. They were reliable and provided high-quality work. We would recommend Engaging Signs & Graphics to anyone looking for similar services, big or small. They worked within our budget and we could not be happier! The Engaging Sign folks were professional, quick and precise. Engaging Signs and Graphics recently (Feb. 2019) reproduced an exact replica of the lettering from an outdoor cedar sign sign my father carved for my brother approx. 40 years ago (from an old photograph). Kevin Kitts produced 2 copies each of different approaches for me to transfer his templates to the wood. Both will be effortless to transfer and exact. The Engaging Sign folks were professional, quick and precise. Completed faster than expected and were a lower cost. This was my first time using Engaging Signs. The signs were exactly what we wanted, completed faster than expected and were a lower cost than ones done previously by other companies. I expect to use them again in the near future. Very professional and top notch work. This place is a great example of how a business should be run. Very professional and top notch work. Highly recommend using them. Took care of everything and was wonderful to work with. We approached Kevin with an unusual urgent request for wrapping a trim kit for an appliance, he recommended a different approach that worked out beautifully, and went so far as to have the treatment applied by a partner that was able to deliver the work in advance of the holiday weekend! I will use Engaging Signs & Graphics again. He took care of everything and was wonderful to work with. Extraordinary customer service from start to finish. I cannot say enough good things about my experience with this company! Extraordinary customer service from start to finish, including a free repair of my sign after it met with an accident right after I picked it up. The work itself is beautiful and high quality - very pleased with that - but it was Kevin's customer service that made my purchase memorable. Highly recommended! They did great work for me in their Raleigh location. The same quality of custom signs and vehicle wraps can surely be expected here in their Durham location. Engaging Signs is a topnotch sign company. Excellent price and extremely fast service. Excellent price and extremely fast service. I highly recommend engaging signs and graphics. We will always use them for our sign needs! Kevin and his team have printed 2-3 posters for our Nail Salon and just completed signage for the Park West Village the District Marquee sign! They are so courteous, quick and the products look amazing! We will always use them for our sign needs! 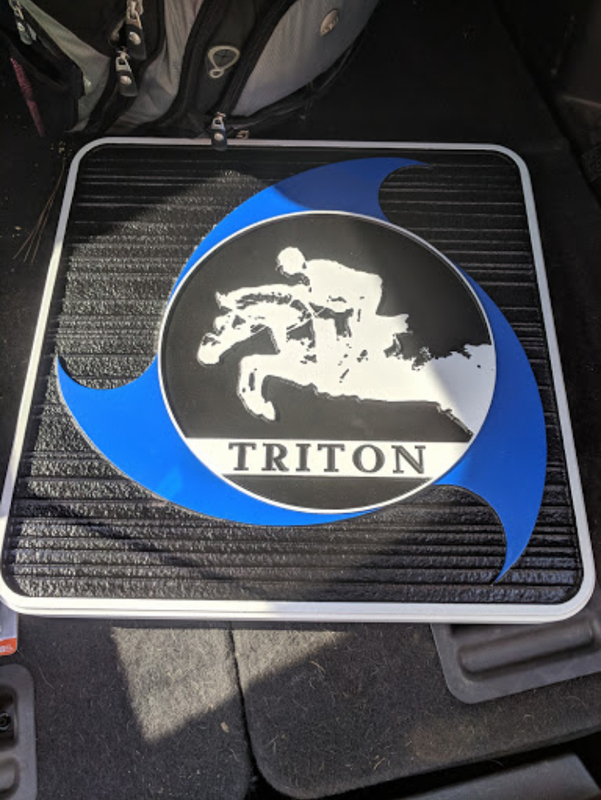 I recommend the team at Engaging Signs & Graphics based on my experience with them. My church needed to update our street facing exterior sign. After a brief phone conversation, Kevin Kitts of Engaging Signs and Graphics met me at church to discuss the project. I feel Kevin did an outstanding job of understanding our needs. He studied the existing sign, as well as the architecture and surroundings, including visibility from the street at various locations. Kevin prepared some initial ideas, concepts, and rough budgetary numbers to help us scope the project. With this information, we were more able to determine the scope and requirements for our project. We decided to keep the existing cabinetry and have Kevin and his team design replacement acrylic panels. I was concerned about the permit process, but Kevin managed the permitting with the City of Raleigh. He was very flexible and understanding about our desire to delay committing to the overall project until we knew the outcome of the permitting process. With permit in hand, we received the final design for sign off. 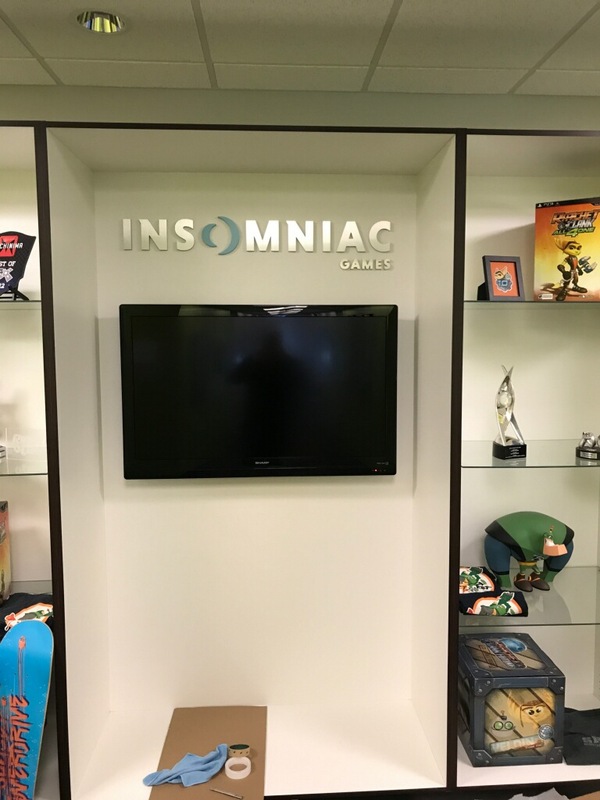 A short time later, Kevin's team had cleaned and repainted our sign cabinet, fabricated and installed the new acrylic panels. For anyone interested, the sign is located at 1500 Glenwood Ave in Raleigh. Overall, working with Kevin, Matthew and Dennis at Engaging Signs & Graphics was one of the most frictionless projects I've been involved with. I would describe them as very professional and they delivered as promised. Communication was always clear, and we appreciated the extra time Kevin put into the project during the early stages. I recommend the team at Engaging Signs & Graphics based on my experience with them.